Bella Yacht Aicon 72 attraccato al porto di Sorrento. Disponibile per pernottamenti in porto, trekking, lungo breve crociera / nel Mediterraneo, eventi, cene, cabine per disabili da parte del mare. Poche miglia nautiche da splendidi luoghi come Capri, Positano, Amalfi, Ischia. Un nuovo modo per godersi la tua vacanza sul mare in un hotel a 5 stelle galleggiante. Attraccato al porto di Sorrento a 5 minuti dal centro e un minuto le partenze dei battelli. Capasecca yacht è disponibile per le escursioni lungo la costa amalfitana, a poche miglia da Capri, Ischia, Procida, Positano, Amalfi anche. We had a wonderful stay at the yacht with our group of 3 adults, 2 grandparents and 2 teenage boys. We had a wonderful stay at the yacht with our group of 3 adults, 2 grandparents and 2 teenage boys. The rooms and bathrooms were very comfortable and clean. But most of all we enjoyed the wonderful experience of the day-trips with the fantastic crew Salvatore and Gianluca. Thanks to Guiseppe for his help in organizing this amazing holiday! We had an amazing time on the Capaqsecca. Giuseppe was great to work with. Super responsive and accommodating for our group of 2 families and 7 people. He helped arrange excursions on both the boat and drivers to take us to Pompeii and the train station. Additionally, Salvatore was a great captain and made our trip one we will never forget. Our only regret was that we didn't stay longer than 4 days. We can't wait to return. My wife and I spent 2 nights on Capasecca, motoring from Amalfi to Capri where we stayed in port. My wife and I spent 2 nights on Capasecca, motoring from Amalfi to Capri where we stayed in port. Salvatore and Gianni were professional, knowledgeable about the area and accommodating. 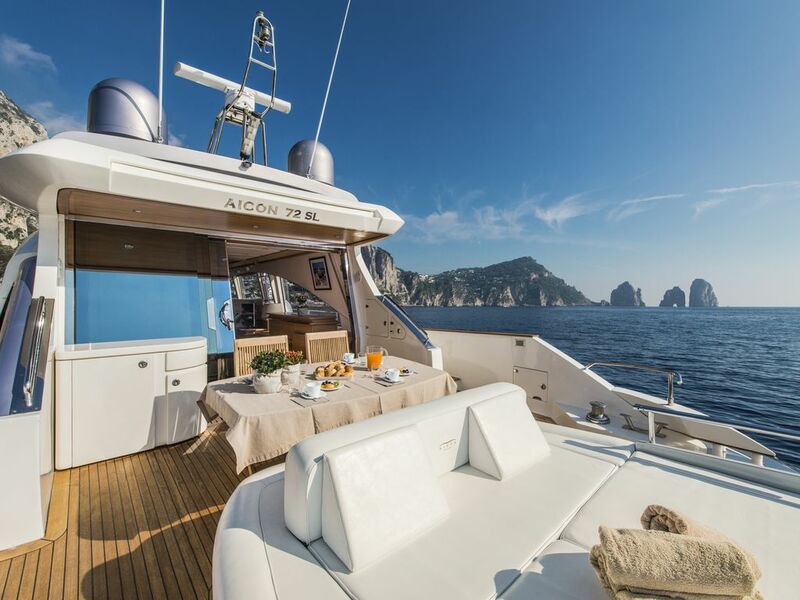 Capasecca is a very capable yacht and was perfect for our vacation. We would do it again. Giuseppe made the booking process easy and answer the hundreds of questions I had.